The Return of Enduro Dad! 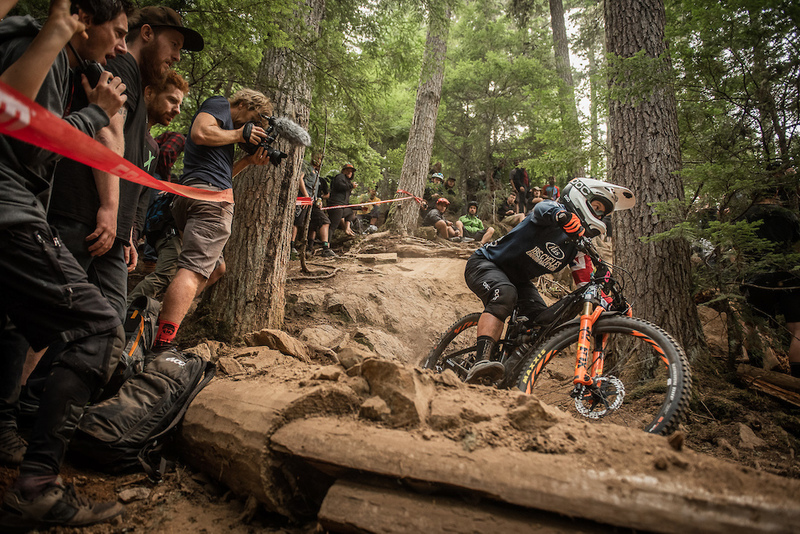 Following two brutal rounds in Petzen-Jamnica and La Thuile, the team was battered and bruised but excited about the annual pilgrimage to mountain biking's Mecca, Whistler Blackcomb for round 6 of the EWS. 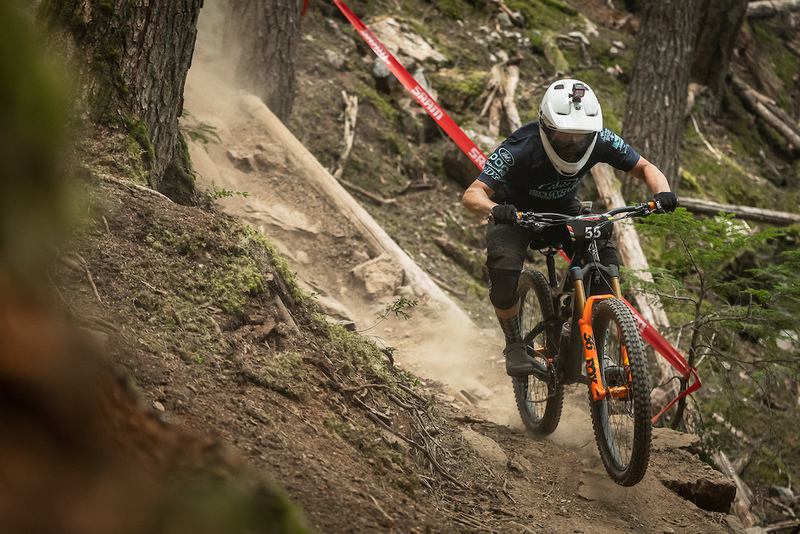 Not only would this round mean a return to the carnival that is Crankworx, it also meant the return of ‘Enduro Dad’ - Robin Wallner after the birth of his son, Ted. Robin’s presence was sorely missed by the entire team at the last round in La Thuile. His level-headed approach and experience brings a degree of calm to the otherwise hyped atmosphere. Maintaining chill during the entire event is easier said than done in Whistler. 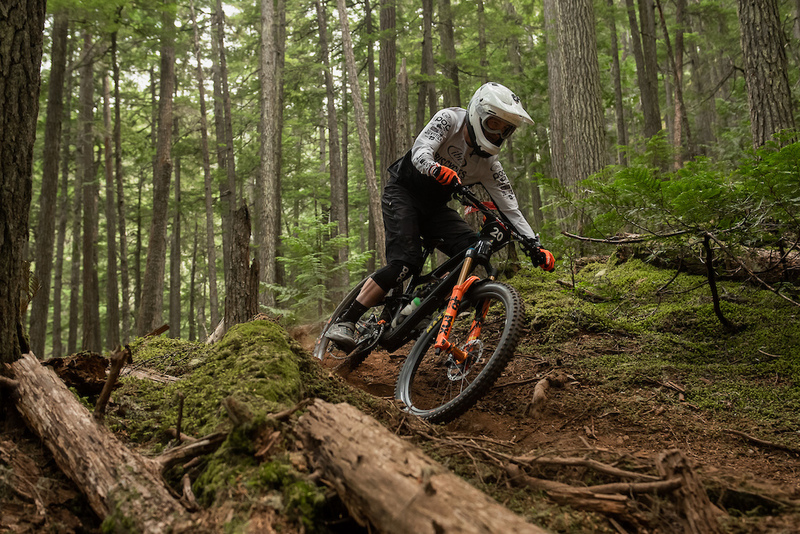 The EWS has visited Whistler every year since its inception and every year, top riders wreck themselves in practice. 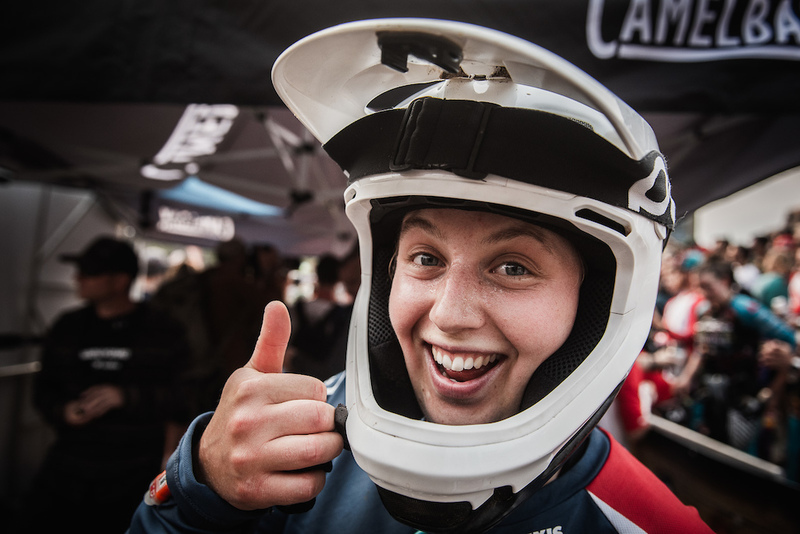 This year was no different, claiming both defending Crankworx champion Jesse Melamed and podium threat Ines Thoma. Heal up soon! 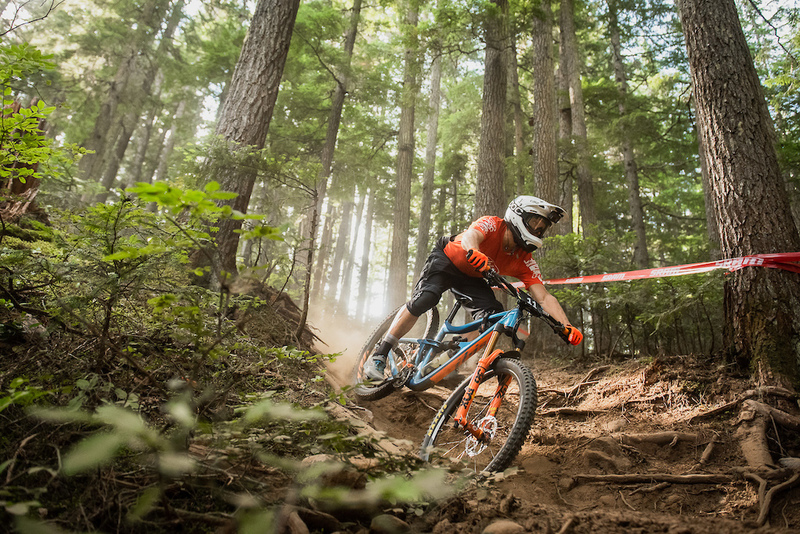 The Canadian Open Enduro (as EWS-Whistler is officially known) is unique not only for the location (it's the only North American stop this year), but also for being the only one day race of the year. The riders faced 34 mile/55 Km of riding over 5 stages, including a brutal 7 mile/11 Km 22-minute descent Stage 5. 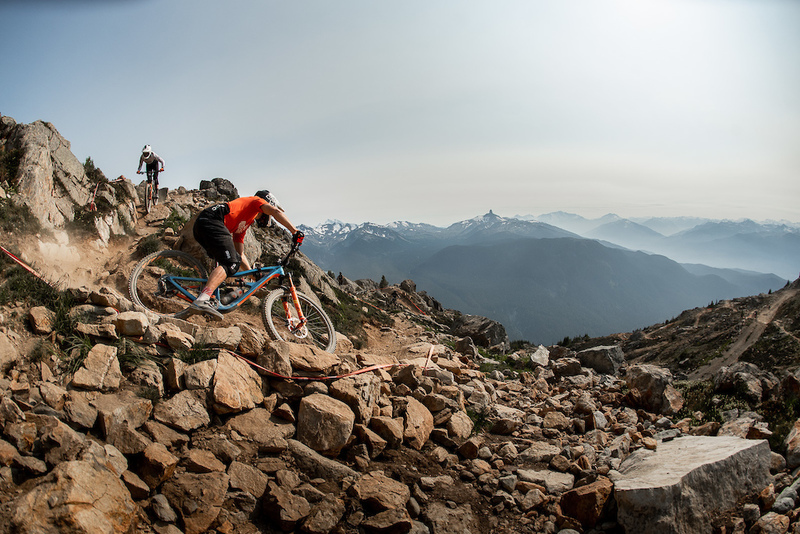 The race opened with Stages 1 and 2 on the raw natural trails of Blackcomb Mountain. Micro Climate and Crazy Train are demanding black diamond and double black diamond trails, but they were both team favorites in practice. On race day, Robin Wallner returned to competition with a solid 10th, and his apprentice Dillon Santos came in 30th. Bex Baraona shook off a hard crash to finish 16th, and Lewis Buchanan sat in 49th. On Stage 2 Bex started to make her way back towards the top 10 with a 9th, and Robin Wallner showing the form that has seen him make two podiums this year finished 3rd. Dillon came across in 43rd and Lewis in 50th. After two stages Robin had climbed into 5th in the overall and the team returned to the pits for an early lunch and tech service. Stages 3 and 4 were above the Creekside Lodge on tight tracks that wound through the dense forest and delivered the occasional punchy climb. Heading into the final stage Robin sat 6th overall, with Dillon in 38th and Lewis 44th. Bex stayed steady the whole day and stood 11th against a larger than average women’s field stacked with local shredders. Stage 5 from Top Of The World has been the scene of some of the most dramatic finishes in EWS history with fortunes being made and lost over the long 7 miles/11 km run back to Whistler Village. At roughly 22 minutes in length, the stage constitutes half of the total time of the race. On a similarly long final stage in Round 4 in Petzen - Jamnica, (Austria/Slovenia), Robin Wallner made a charge that took him from 5th to 3rd in the overall. Today was not going to be Robin's day for a repeat. Stomach cramps kept him from getting into full attack mode. Enduro is often about playing the long game, and preserving what you have can often pay off in the end. Robin was 15th on the stage and held onto 8th for the day. Dillon Santos gave it everything on the last stage to post his career-best EWS finish in 34th. Lewis came in 33rd, and Bex stayed in 11th. While not the best performance for the year, there were many goals achieved, not the least of which was finishing in one piece. Heading back to Europe for the final two rounds the team remains in 2nd place in the team competition and Robin Wallner sits in 6th in the overall with only a few points standing between him and 4th. Bex Baraona remains in the top 10 in the overall at 6th, and Lewis Buchanan is looking to regain the form that saw him reach the top 10 in Olargues. 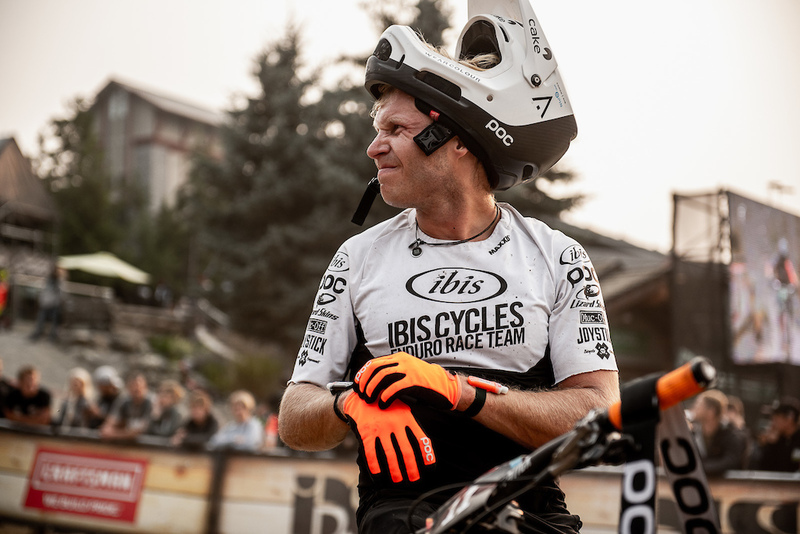 The Ibis Cycles Enduro Race team is supported by POC, Maxxis, KS, Fox Factory, Shimano, Joystick, LizardSkins, Muc-Off, Feedback Sports, Industry Nine, Honey Stinger, One-Up, and The Athletic. That top of the world line! It's pkausible that they'll post them soon. Also interested. Seems some ripmo footage and some HD4 footage. Would be interested in some details for sure. @KennyWatson: Yes, which bike frames did they race on in Whistler? @BreezerXCer: I think usually Robin is the only one on the Ripmo.. Lewis posted in Insta a while ago that he timed the HD4 and Ripmo back to back and found the HD4 1 sec faster. @pdxkid: Pkeasant to watch and awesome pkasement 6th overall! 0:08 - I really don't like the way he's staring at me. Its a bit creepy.